On Thursday, September 23 there will be a photo shoot for the 2nd Pittsburgh Gigapanorama – you are invited to participate. The details for Thursday are available here. For the whole story about the project keep reading. Gigapana-What? I promise this is not a scary disease or some fancy name for bed bug infestation – a gigopanorama is a giant panoramic photo. In most basic terms – lots of digital photos are stitched together to create a large panoramic photo. 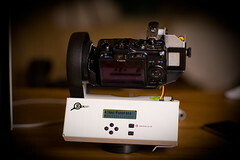 You can learn more about these photos and the technology behind the giga pan photos at Gigapan.org. Carnegie Mellon and Pittsburgh based DeepLocal are key partners in this project. Gigapan.org also has a huge gallery of other amazing photos to check out. The First Pittsburgh Gigapanorama was created in October, 2009 from the roof of the US steel building. You can check out the photo here. The GigaPan.org website lets you navigate and zoom in on different parts of the photo. There is also an actual print out of this photo that has been displayed around the city – I had a chance to see it earlier this summer at the Sprout Fund Summer Social. It is a HUGE banner with amazing detail of the city. On Top of Top of the Triangle Remember that restaurant? There used to be a fancy restaurant on the top floor of the US Steel building called Top of the Triangle – the restaurant closed in 2001. While fine dining isn’t likely to return there is a project about putting a park ontop of the US Steel Building – the High Point Park. The High Point Park is a project of Carnegie Mellon’s Studio for Creative Inquiry. This fall the students from Carnegie Mellon’s Heinz School are working on the park as their semester long systems project – you can learn more about the class and the project here. A Map and A Parade One of the reasons that I am excited about the Pittsburgh Gigapanorama 2 is because of the success of the Street with a View project. In 2008 – when Google was starting Google Street view – some Pittsburgh artists staged a scene for the cameras. The project was called Street with a View. Street with A View staged a parade, a party and a whole lot more (look for the dancing chicken leg) for the Google Street view cameras. You can check out some of the videos on the project here and read the blog posts on Neatorama, Mattress Factory Blog and Make. Gigopanorama Party Time I wanted to share the Street with a View project to inspire show off how one group approached these public photos.The folks behind the Pittsburgh Gigapanorama 2 are looking for you to join the fun. Create your own scene, party, dancing poultry and more in the next Pittsburgh Gigapanorama. Check out the 30-gigapixel First Pittsburgh Gigapanorama (http://www.gigapan.org/gigapans/47373), which we photographed from the top of the U.S. Steel Tower last year. Try zooming “all the way in” until you can see street signs and individual people, just to get an idea of the amazing resolution of GigaPan images. Well, that was our test image. On Thursday, we’ll shoot a new version — during the Pirates game at PNC Park — with even higher resolution than before! Choose a place where you’ll be visible. Use the first panorama (here) to help choose a place that has good visibility from the top of the tower, and which is legally accessible for you. The closer to the Tower the better, but any place that can be seen in the first image should also be visible in the second. Remember: the closer you are to Downtown, the more visible you’ll be — and unless you’re within two miles of downtown, you’re going to be awfully small. Since the Pirates will be playing in PNC Park at 12:35pm, you can also be in the picture simply by going to the game and sitting on the right or left sides of the field (no outfield seats)! Note your orientation to the Tower and save time. 2:00 – 3:00 – The North Shore, PNC Park, and points north. Check back here for more information. Starting at 11am, we’ll broadcast updates every 5 minutes on Twitter(@creativeinquiry) and Facebook to let you know which direction the GigaPan cameras are pointing! We recommend you use the Google Map of the U.S. Steel Tower (http://bit.ly/USSteelTowerMap) to determine whether you’ll be North, East, North-East, North-North-East (or whatnot) in relation to the Tower. 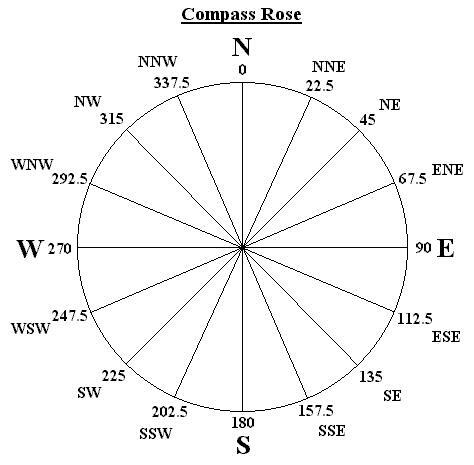 Our team will make announcements in 10-degree increments, so it will help if you understand the numbers on a “compass rose diagram” like this one. Do your thing. We encourage creativity! Wear a costume or colorful clothing; hold a sign or banner; do anything to help you stand out from the landscape. (Keep it legal and school-suitable, please, or we may have to edit you out.) Also, bring a cell phone that day so you can receive our Tweets when we’re shooting photos from your direction. Let us know what you’re up to! Drop us a line on Twitter, Facebook or by regular email at studio-info@andrew.cmu.edu to let us know where to find you. Have someone snap a picture of your display that you can send us! Find yourself in the panorama! We expect to release the completed image online in late October, when you’ll able to visit the image, find and take a snapshot of your participation. We’ll also make a large (4′x25′) print of the image and include it as part of the gigapanorama exhibit “New Perspectives of Pittsburgh” which will be in the Photo Forum Gallery in the upper lobby of the U. S. Steel Tower from October 11 through November 19, 2010.Details to follow. Thanks to OnlyinPGH and Flong for the heads up on this event.